The lion dance is another important part of the Lantern Festival / Chinese New Year / Spring Festival. Two people are inside the lion's costume: one person manages the head and the second carries the body, and they dance to a drum, cymbal and a gong. 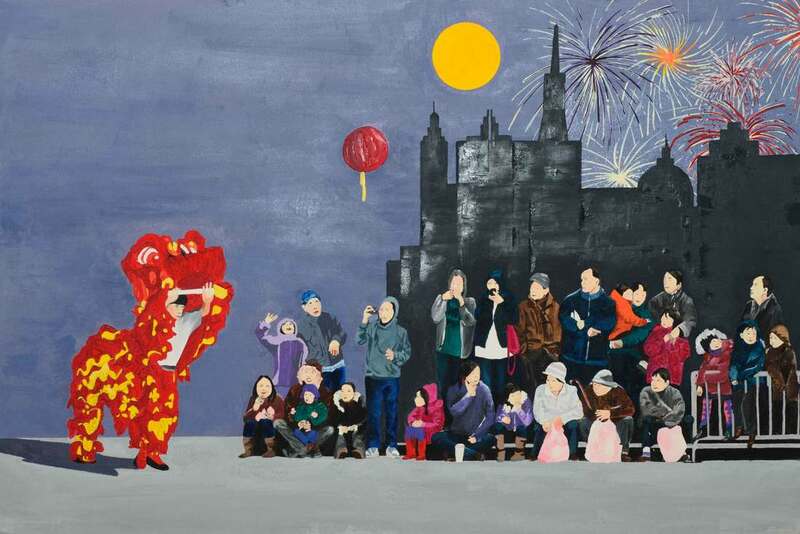 The performance of the lion dance is believed to ward off evil spirits and usher in good luck for the New Year. Thank you for your interest in buying the painting "Dragon Parade II." As soon as I receive this request, I will contact you to confirm order details and total amount of purchase.